An air strike targeting militants has killed at least seven people near the southwestern Libyan city of Sabha, a local official and media reports said on Tuesday. Gunmen later seized the remains of the suspected militants from a morgue, said the official, who did not want to be identified for fear of reprisals. The early morning strike hit three houses in Gardah, northwest of Sabha, destroying two of them and damaging the third, said the official. It was not clear who carried out the strike, and military officials could not immediately be reached for comment. Forces on both sides of conflict-ridden Libya's east-west political divide have used warplanes to strike militant targets. The United States has also conducted air strikes on militants in Libya, but a US defense official, speaking on condition of anonymity, said its forces did not carry out the latest strike. There were conflicting reports about whether the suspected militants were linked to al-Qaeda or ISIS, both of which have a presence in Libya’s south. 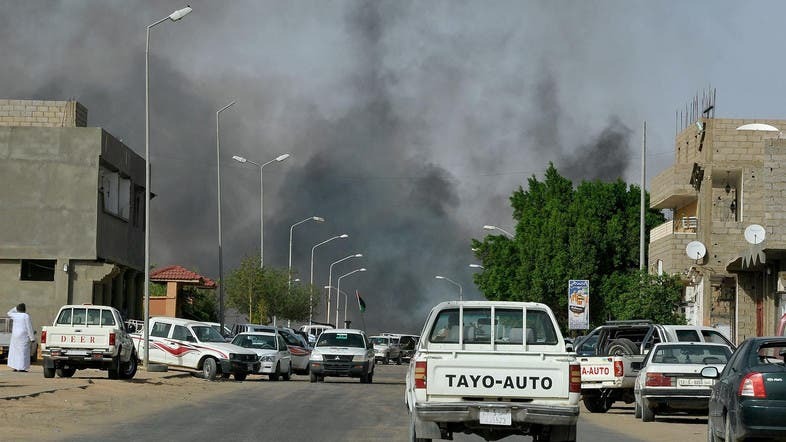 Libyan news website Press Solidarity said the main target was a militant called Abdulrahman Belhaj Hesnawi, also known as Abu Talha al-Libi, though several reports said he was not among the dead. The local official, from Gardah, said some of those killed were Libyan and some were foreign, and it was not known whether they included Hesnawi. “After one or two hours a group of gunmen went to a local hospital in Adri, 35 km from Gardah, and they seized the remains of the bodies,” he said. The United States has been conducting air strikes on ISIS in the group’s former bastion of Sirte, 500 km north of Gardah, since Aug. 1, and had previously launched several strikes against militant targets elsewhere in the vast North African country. France has acknowledged flying intelligence and surveillance flights over Libya.